I'm a mom of 3 and wife. My website was formerly named "Christina's Crochet Haven". 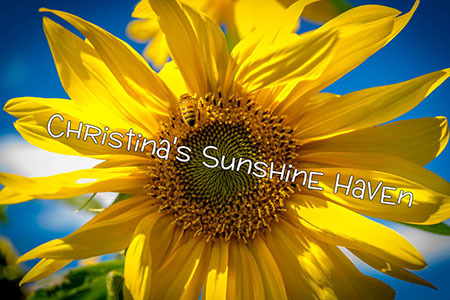 It has been Christina's Sunshine Haven for years now when I added my other interests. I started designing when my daughter was little. Patterns are expensive so I shared what I made for free. My patterns are still free even to this day. Oh my goodness, R2 is so adorable. Love him... My sons love Star Wars, but I haven't been brave enough to try to crochet anything for them. Great job! !